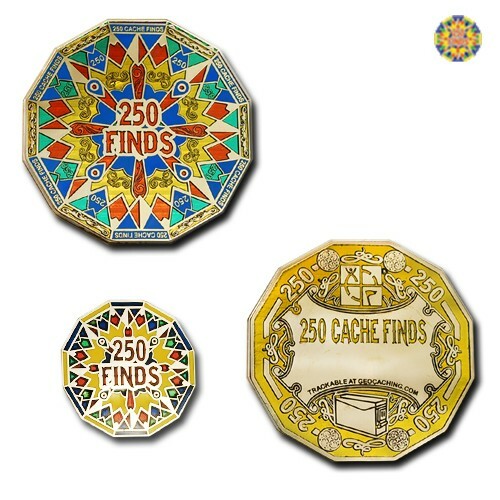 This coin and pin set is truly a "Have to Have" if you love geocaching to commemorate your first 250 Finds! 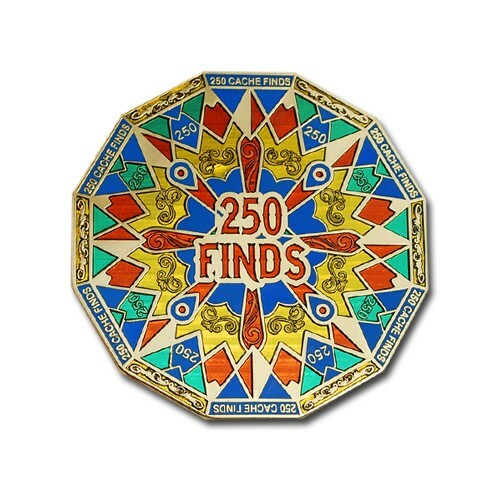 This coin is a dodecagon, 12 sided polygon and has tones of orange, robin egg blues, green, and teals accented by gold trim. The accompanying pin is also a dodecagon with the excact color scheme.